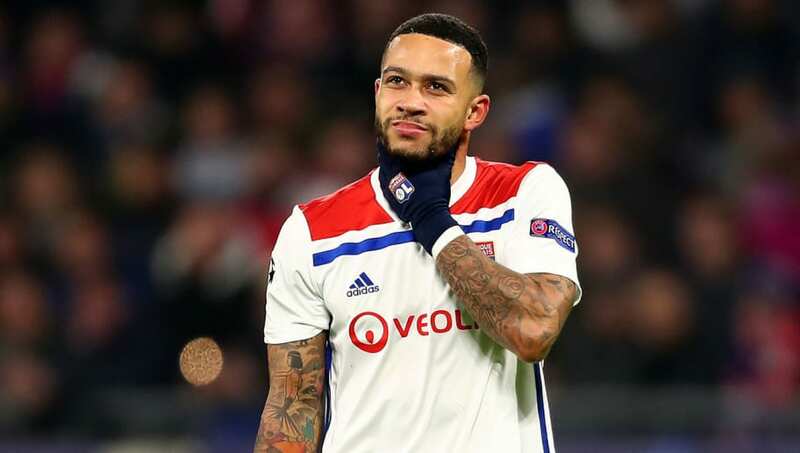 ​​Arsenal great Robert Pires has urged Jurgen Klopp's ​Liverpool to make Lyon hitman Memphis Depay as one of their summer transfer window targets despite his former association with ​Manchester United. Klopp currently manages one of the world's most dangerous attacking trio consisting of Roberto Firmino, Sadio Mane and Mohamed Salah. Still, Pires believes that the addition of Depay to the fold could prove to be incredible for Liverpool. Depay scored two and set up the other two for the Netherlands in their 4-0 win over Belarus - with his assists enabling current Liverpool stars Virgil van Dijk and Georginio Wijnaldum to get on the scoresheet. Pires was impressed by seeing the trio in action and imagined a scenario of all three of them being at Liverpool as a mouthwatering prospect. Speaking to ​Bwin, Pires said, "Depay wants to come back to the Premier League and he feels he has unfinished business in England." Depay joined Manchester United in 2015 for a reported £25m in 2015 but ​left in less than two years of his tenure after scoring just two goals for his side and starting only one game in his second season at Old Trafford. Since then, he joined French side Lyon and has gone on to smash 30 goals in 80 games for the Ligue 1 side.